Enlist the help of an assistant if possible. Try to be accurate to 1/4 inch or 1/2 centimeter. Included in your kit, you will find a set of underwires. Begin with the larger breast and raise the corresponding arm above your head. Using your free hand, hold one of the underwires to the breast crease (Inframammary Fold or IMF) with the shorter side (usually colored) toward the middle of your chest. If the IMF is not present or hard to find, try pushing the breast mound toward the underarm to temporarily create a crease and mark it with a washable marker. The curve of the wire should follow your IMF as closely as possible. You may need to gently pull on the wires (manually widening the opening) to simulate the wire spring present in all underwire bras. Try different wires to identify the best fitting one and write onto the Client Measurement Form. Measure around the rib cage directly under the bust. Keep the tape measure as parallel to the floor as possible while pulling on the tape. This should feel about as tight as a well fitting bra. Measure around the rib cage directly under the bust. Keep the tape measure as parallel to the floor as possible while pulling on the tape. This should feel UNBEARABLY tight as if the tape measure will break. 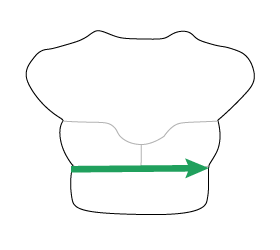 Measure around the ribcage directly over the bust point. Try to keep the tape measure as parallel to the floor as possible. Do not over tighten. Measure around the ribcage over the bust mound, under the armpit. Hold your arms straight out like you’re an airplane. Try to keep the tape measure as parallel to the floor as possible. 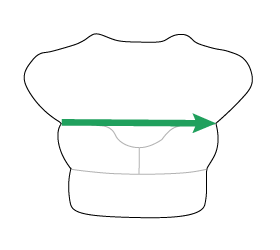 Measure the space between the breasts at the same level as the bust point. You may need to support the breasts with the hands. With arms out, measure the distance of the high back between the arms. This should be about where the top of the band would be. With arms out, measure the distance of the low back between the arms. This should be about where the bottom of the band would be. Remainder of measurements - cup your breasts from below and lift them to where you would like them to be. Please enlist helper here! Measure the distance from IMF to bust point. Begin with one end at the IMF and measure straight up toward the bust point. Measure under the hands cupping the breast. ** This may take a few tries. **Try to be accurate to the quarter inch or half centimeter. Measure the horizontal distance from wire line to wire line while crossing the bust point. Same as above but just the distance from center front wire line to the bust point. Measure the distance between the bust points. Using a small sticker or washable marker, place a dot on each breast where you would like the strap to attach to the cup. Measure the distance between this dot and the bust point. Measure the distance between the 2 dots from Strap Height. Using a small sticker or washable marker, place a dot directly over the bust point at the fullest part of the mound. Take note the distance between dot and bust point. 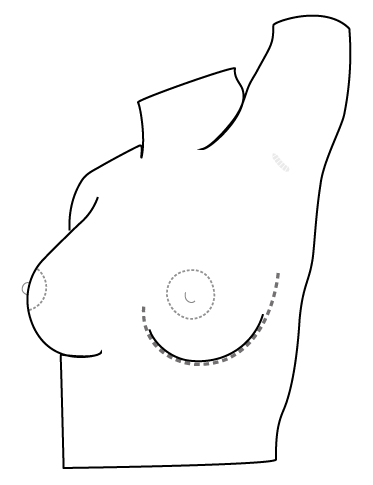 Measure across the breast through the dot. **You may find bending over at a 45 degree angle (or whatever angle you can manage) helps if you are measuring by yourself.